Surely by now you’ve heard or read something about the new, modernized version of the Rules of Golf that went into effect on Jan. 1. The wide-ranging update – designed to be more in tune with the way the modern sport is played – was years in the making. It’s the most extensive revision in decades to the Rules, and they bring with them an assortment of changes that will impact golfers at all levels. The premise guiding officials with the USGA and R&A in writing the new Rules was to make them easier to understand and apply. In turn, the changes – specifically the relaxing of certain rules where the punishment was more severe than warranted – are likely to encourage improved pace of play and make the game a more enjoyable experience for all. To help better understand the changes, the TGA has created a centralized “Rules Hub,” which directs golfers to all the necessary information on the new Rules. 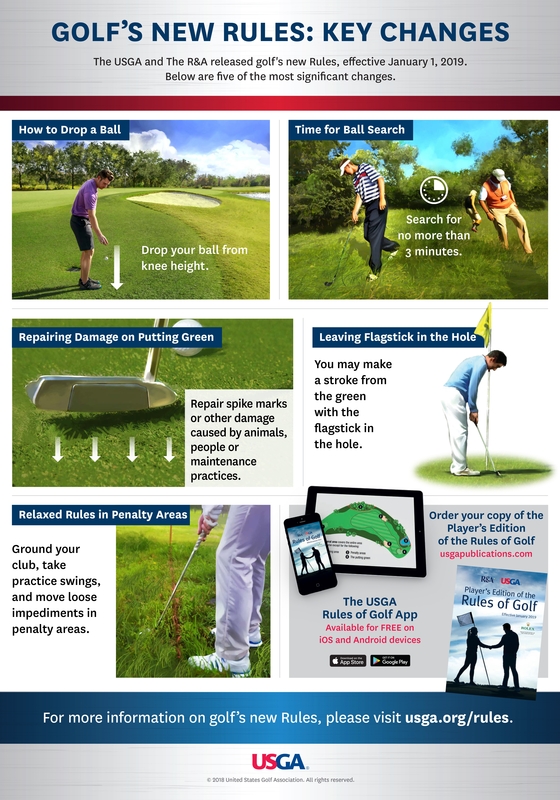 At the TGA Rules Hub [LINK “TGA RULES HUB” to: http://www.txga.org/RulesofGolfHome.html] you’ll find educational videos and graphics, as well as links to a summary of the major changes to the Rules of Golf, explanations for why the changes were made and access to the USGA’s Rules webpage. You can read the full text of the 2019 Rules, download the USGA Rules app for your phone and order copies of the printed version of Rules Book. In addition, the TGA Rules Hub has a special section for Member Clubs to facilitate group learning. In the TGA Member Club Corner, there is information on how to host a TGA Rules Seminar along with accompanying PowerPoint slides, graphics and videos available to download. There is also a section that provides updated information on the roles of a Rules Committee at the club level. Throughout the year, we’ll continue to provide content on the new Rules and how they’ll impact you. For now, please click to the next page for an exclusive Q&A with one of the nation’s foremost authorities on the Rules of Golf.